If there are two things we hold close to our hearts, it’s music and that sweet, sweet buzz you get from coffee at any time of day. If there are two things we hold close to our hearts, it’s music and that sweet, sweet buzz you get from coffee at any time of day. 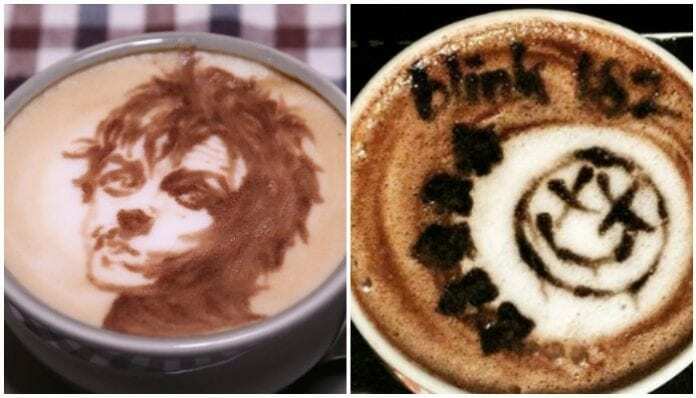 Whether it’s Monday morning or Saturday night, you can enjoy a nice Americano or Frappuccino while looking at these lattes inspired by some of music’s biggest names. Without our morning coffee, we would also be basket cases. 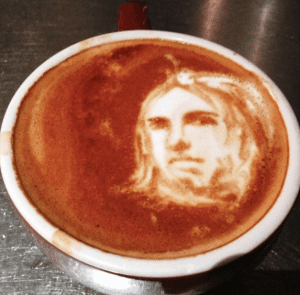 Even in a latte, Billie’s eyeliner is on point. 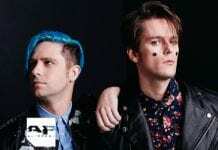 Just a little coffee tribute to the self-titled album that changed music forever. Bring me the coffee, please. Smells like a pumpkin spice latte to us. 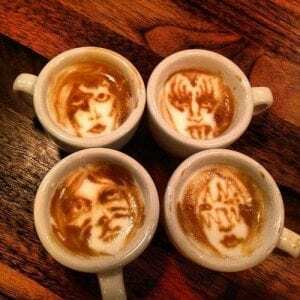 Espresso really looks good on some of the biggest rock stars of all time.